Pretty sure many of you already knew how to make this simple snacks, but I'd still share it, lol! Put frozen sweet corns in a large microwave container with lid. Microwave for 3 minutes. Take out the container and give the corns a stir. Microwave again for another 2 minutes. In a large bowl, mix together the hot corns with salt and butter. Spoon them into small bowls or cups while serving. Enjoy warm! You may also steam the corns for 20 minutes if you don't own a microwave. For variation, you may also add 1 tbsp of condensed milk or sprinkle some pepper powder to give that spicy taste. 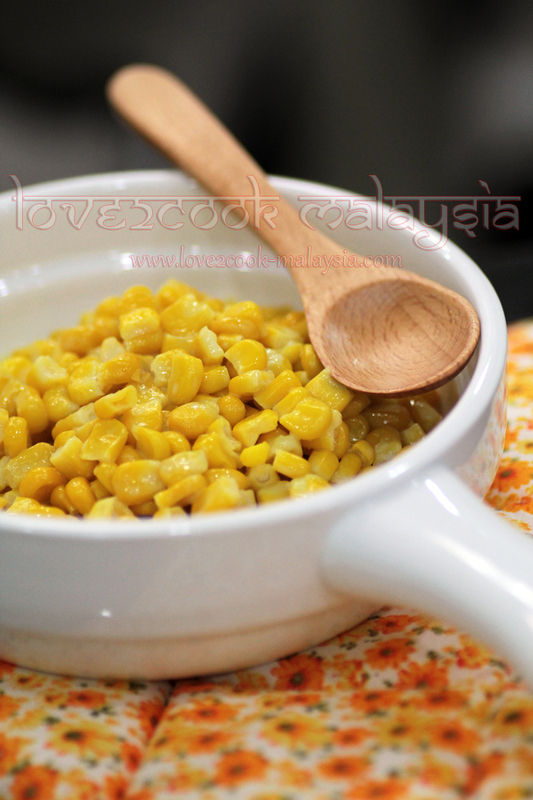 hi how r u?...my fav corn!...i remember ad stall some ppl add condensed milk too!nice snap as usuall! hi love..it looks so yummy and delicious!! I simply love to have this for sunday breakfast!!! Looks so buttery & yunmmmm!!! Love it anytime..makes me drool. Always my fav dear....be it for bfast or for side dish...yum3!! this is my sons favourite.. great snack !love to munch it too.. I'm fine dear and congrats on your 3rd anniversary! 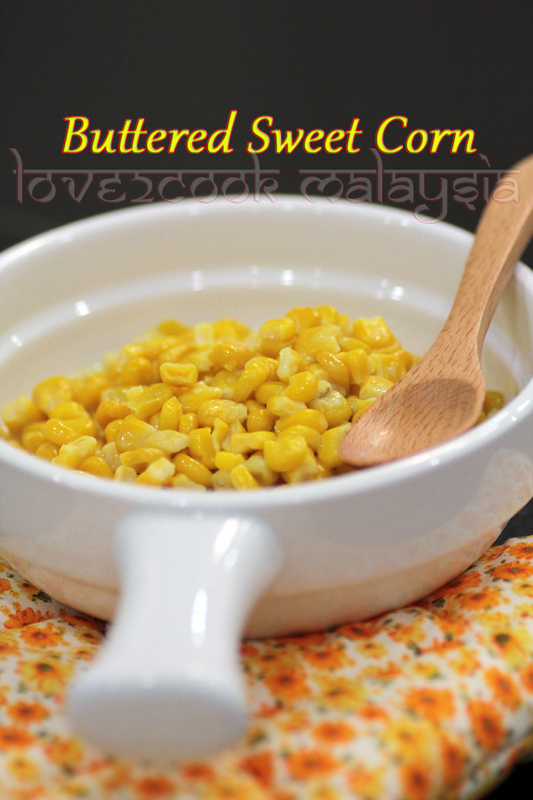 This simple yet yummy corn is my favorite too! Waw..Love..saya memang suka yang macam ni...boleh makan byk2 tau..
My kids favourite! I don't mind some myself too! Love your pic, look beautiful.